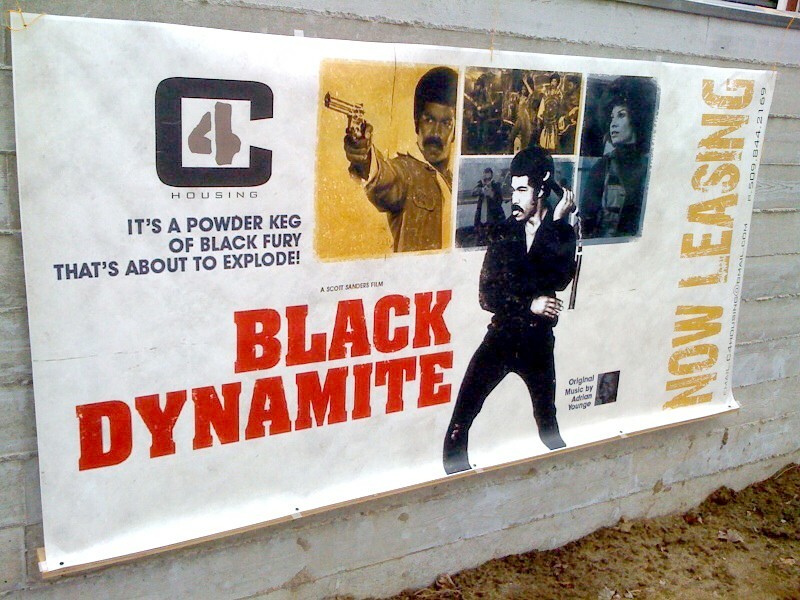 That line was a great way to advertise the 2009 blaxploitation spoof Black Dynamite. And when real estate developer Chris Olson watched the film with coworkers recently, he thought it would also be a great way to attract renters to his latest condominium project, in Peaceful Valley. 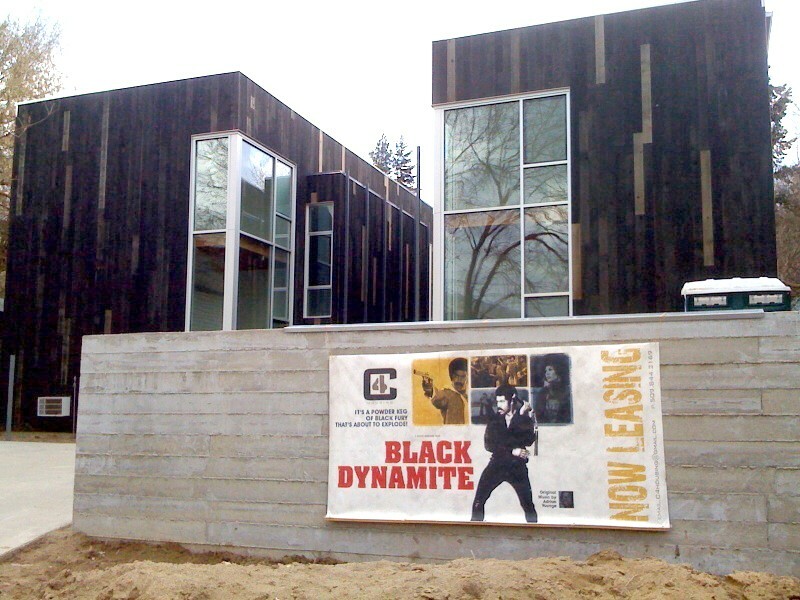 A Black Dynamite banner now hangs outside the C4 condos, located near Maple Street and Clarke Avenue, Olson’s phone number and the words “Now Leasing” appearing alongside star Michael Jai White with an afro and nunchucks. The sign makes passersby do a double take at the dark, square condos, which stand in stark contrast with the older homes of the Peaceful Valley neighborhood. Olson says people who visit the condos are amused by the sign, which has been up since Saturday. So far he hasn’t received any negative reactions, but he welcomes anyone with complaints to give him a call. Olson says this banner is tame compared to other advertisements his real estate company, O on Clarke, has put out. He declined to give examples.